Tartan Pistol Grip Box Sealing Tape Dispenser HB903 Black , Avi Depot=Much More Value For Your Money! 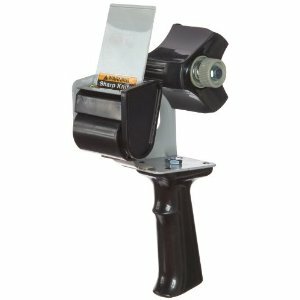 The Pistol Grip Box Sealing Tape Dispenser HB-903 is an easy to use one hand box sealing tape dispenser. It is refillable, handles tape rolls up to 2 in. wide by 60 yards long on a 3 inch core and has an adjustable braking mechanism.